Colored leaves bring Japanese people real feeling of autumn. 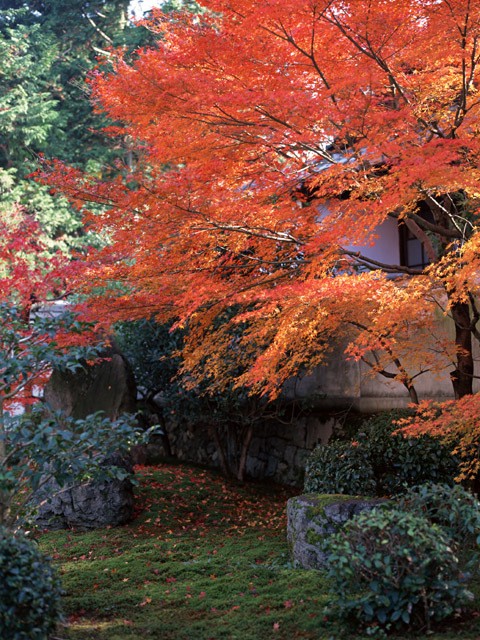 Traditionally, there is a custom called “momiji-gari” that people go to out to see beautiful colored mountains. Momiji-gari is enjoyed in autumn now; however, this it may not be autumn leisure activity in the near future because leaves may not turn red till new years or Easter. According to the report of the Japan Meteorological Agency, global warming delayed the first day of the autumnal color change of maple leaves for 15.6 days, and that of ginkgo leaves for 10.7 days in 50 years from 1953 to 2004. In addition to the delay, the dullness of the leaves’ color is noticeable. The color change starts when the minimum temperature is under 8℃, and keep turning red at 5 to 6℃. To turn whole leaves red, it requires big difference of daytime and night time temperatures, longer hours of sunlight during summer, and moderate rainfall. These conditions are so precise that they can change even one leaf’s color. When the all of them happened, the starch in a leaf reacts to them, and then chlorophyll resolves into red or yellow. 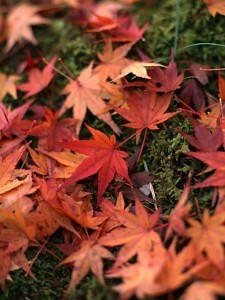 What is worse, the abnormal weather increases the trees that fall before changing the leaves’ color. These unusual changes concern Japanese people who traditionally appreciate and enjoy four seasons. Aimless 28 year-olds in Japan?